Susan is an Associate Professor in the School of Public Health at the University of Alberta, and is a recipient of the McCalla Professorship at the University of Alberta. She also holds affiliations as an Assistant Professor in the Dalla Lana School of Public Health and Institute for Health Policy Management and Evaluation at the University of Toronto. She has a Bachelor of Science in Nursing from University of British Columbia, a Masters in Epidemiology from McGill University and PhD in Medical Science from the University of Toronto. Susan was a scholar in the Fulbright Arctic Initiative, and is the Past President of the Canadian Society for Circumpolar Health. Susan has spent most of her career in remote and northern communities working in the clinical setting, public health and research. 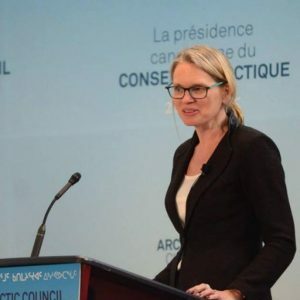 Her research interests include circumpolar health systems stewardship and performance, and the synthesis of knowledge that promotes broader connotations of health systems and wellness in the Arctic. When out of the office Susan can be found doing photography, camping, and skjoring with her bad husky.